Jobina Fortson from Howard University is a 2013 White House Correspondents’ Association (WHCA) scholar and the recipient of a one-time award of $7,000. Georgia native Jobina did not begin her freshman year at Howard University particularly interested in either journalism or the news. This accomplished scholarship winner credits her passion for journalism to a serendipitous mix of bright and competitive classmates, a superb Howard University faculty, exposure to discourse with varying perspectives on endless topics and her good fortune to be attending college in the nation’s capital. Once committed to a career in journalism, she has wasted no time striving for excellence. Jobina has experience as a talk show host and on-air personality from two radio stations, internet glasshouseradio.com and a local Seattle station. 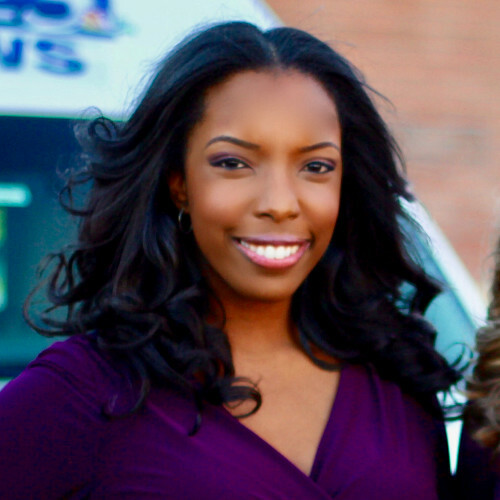 She is currently an intern at WJLA/ABC7 News and WHUR 96.3 FM. She is the Business Manager of Spotlight Network, a student-produced news magazine aired on Howard’s PBS station. Jobina is the recipient of the Ray Kroc Award and she is on the Dean’s List at Howard.